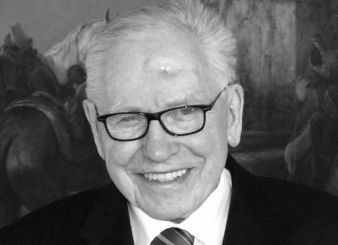 Gerold Fleissner - Pioneer of textile-, man-made fiber- and nonwovens industry passed away with 92 years. He has enriched all the industry with his inventions worldwide. The foundation of the Fleissner company was laid by Johann Christian Fleissner 1848 in Asch, Bohemia with a blacksmith's workshop with 8 journeymen. In the next generation Karl Fleissner started to produce steel constructions, lifts, centrifuges, household washing machines, dyeing apparatus and other textile machinery, soon a foundation was added. After the death of his brother Heinz, Gerold took over the management of the entire company in 1984. The increasing importance of the Asian market required Fleissner's presence in this region, which was realized by opening an office in Beijing/China in 1993. Thus, Fleissner was represented by its own offices and other commercial agencies in more than 80 countries worldwide. 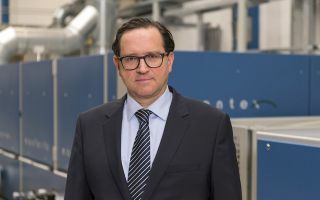 In addition to the already expanded production program for man-made fiber, wool, woven- and knitted goods and carpets, Gerold Fleissner with the support of his Vice President Alfred Watzl, has constantly developed the nonwovens sector built-up since the sixties, so that Fleissner became one of the leading manufacturers of high-duty processing lines for the nonvwovens industry. available in the technical center in Egelsbach was installed to run customer trials with speeds upto 500 m/min. With the aquisition of Messrs. Mohr in Ansbach in 1995 Fleissner was also leading with this branch operation in production and delivery of istallations for the production of fiberfill wadding webs. At this time the perforated drum drying principle invented by his father Hans - more than 40000 drums were operating already - has been further developed and optimized by Gerold Fleissner in a revolutionary manner with the High-Tech through air drum to meet the high requirements of modem production lines. This made it possible to enter a new production field, which had been new for Fleissner until then - the drying of air-permeable filter papers and soft-tissue for toilet paper and kitchen rolls, with speeds upto 3000 m/min. To be able to fabricate those huge machines with drum diameters of upto 5 m, a new workshop of 15 m heigh was built by Gerold in 1990 already. 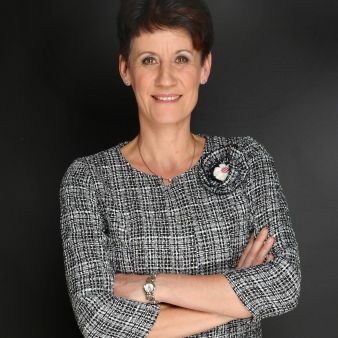 With entrepreneurial far-sightedness Gerold Fleissner as pioneer and visionary in one person has strengthened the company's position on the world market by several cooperation agreements. Contracts were concluded with Beloit USA for the delivery of complete tissue lines and with Danweb Denmark for the production of complete airlaid nonwoven lines. With Voith Sulzer an intensive cooperation for the delivery of filter paper production lines with integrated High-Tech Dryers was started. 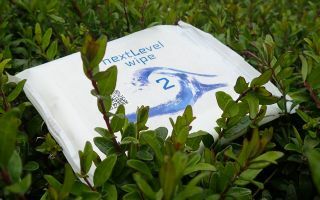 The agreement with Georgia Pacific USA, to use their patent for the production of hydroentangled sandwich products with fiber layers and airlaid pulp layers made this technology available for Fleissner customers to exclusively produce low-cost standard and also "flushable" wipes. With the cooperation of world famous machinery suppliers and engineering companies like Zimmer, Uhde, Du Pont, Hoechst, BASF, Courtaulds, Rhodia, Lenzing, Dilo, Schlumberger, Fehrer, Trützschler, Temafa, Celli, Reifenhäuser, Ems-Inventa etc. Fleissner was able to supply complete turnkey lines. 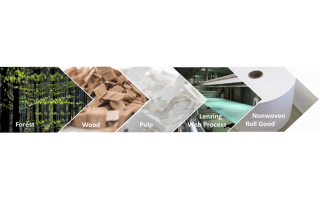 Gerold Fleissner also attached special importance to today's demands for machinery with advanced process control systems and non-polluting technology. The latest findings of research engineering and environmental technology have been implemented in the Fleissner lines. The cooperation with universities, research institutes, machinery- and textile associations, fiber manufacturers and customers had always been a key subject for Gerold Fleissner. For reasons of having no successor to continue his life's work, Gerold Fleissner decided in 2003 to sell his company to Zimmer AG, a subsidiary company of mg technologies in Frankfurt/Main in order to be successful in the worldwide competitions. Zimmer operated for more than 50 years in the area of plant engineering for the polymer- and fiber industries. The sale of Fleissner GmbH & Co Egelsbach to Zimmer was by no means a signal of Gerold to retire. Quite the revers, he continued to run Fleissner Nonwovens Ansbach, that part of Fleissner property which was not sold to Zimmer. He concentrated to supply successfully complete conveyor belt oven lines for drying and thermobonding of waddings. His wife Elisabeth Fleissner kept Gerold's options open and so he could fully concentrate on the company's welfare. But beside that Elisabeth was also a great support to the company itself. With love and full activity she cared for the customers and as well for the employees and thus contributed to the high reputation of the company worldwide. Which customer does not remember the numerous glorious Fleissner exhibition stands at the ITMA's, Techtxtil, INDEX, and many other local shows worldwide. After a powerful life full of activity and commitment both Gerold and Elisabeth deserve recognition and gratitude for their magnificent life's work. Our condolences to his wife Elisabeth Fleissner.